this took for long. ._. 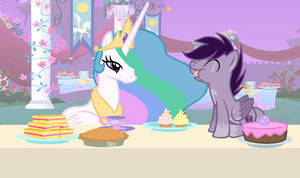 Original image from MLP Wiki. if it's so hard to do, then don't use my base please..
(oc name):IMMA EAT YUR CAKE!!! You aint gonna have no cake, ON THE MOOOOOOOOOOOOOOOOOOOOOOOOOOOOOOOOOOOOOOOOOOOOOOOOOOOOOOOOONAAAAAAAA! And YOU Get a Pair of Wings!